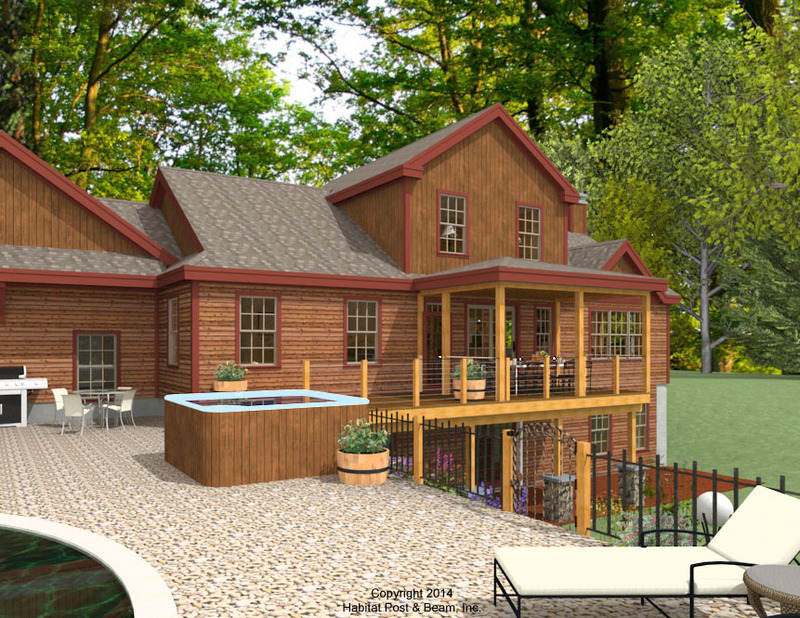 This home is based on our Custom Home, #3562. 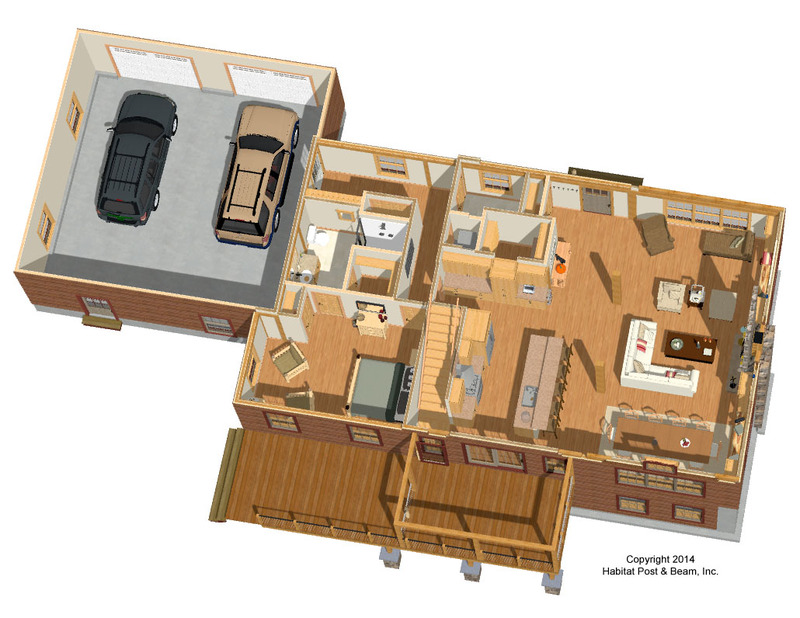 It is a Lodge-style home with an open floor plan and first floor master suite. 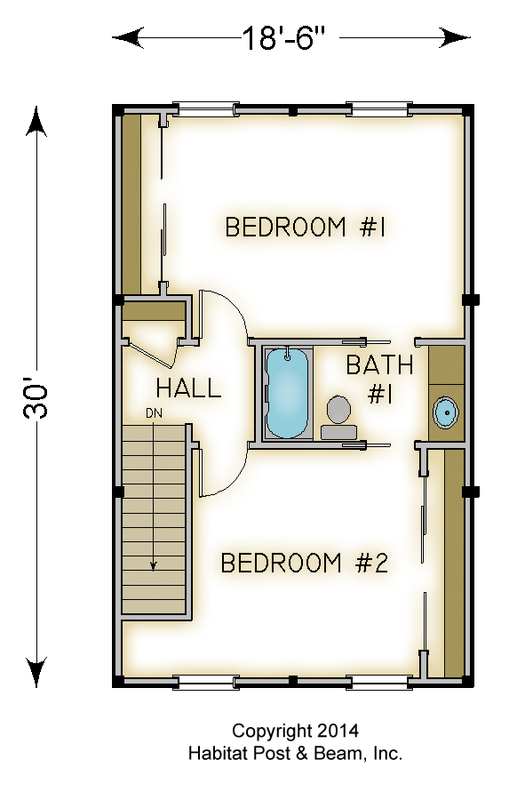 The upper level has two bedrooms with a Jack-and-Jill-style bathroom. 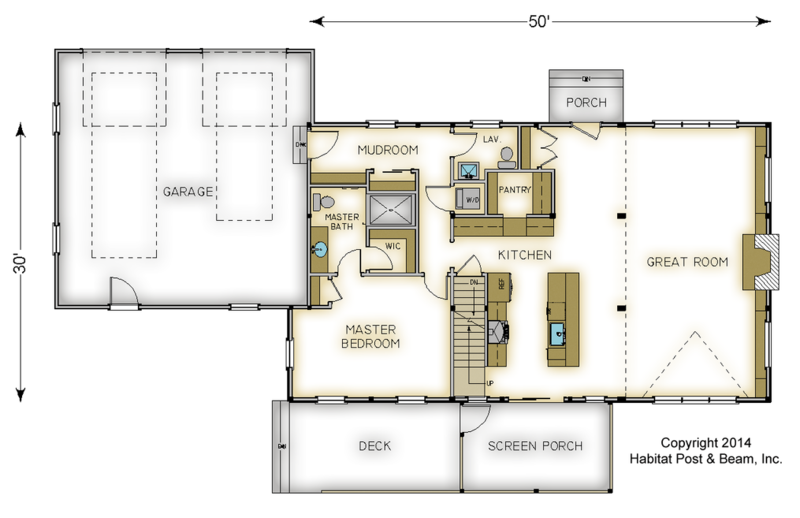 The lower level has a finished walkout with two more bedrooms, a full bathroom, office and family room. Package Price: $153,500 as specified below (from $143,500 to $186,500 depending on framing options). Price does not include garage or walkout (daylight basement). Beamed Roof System over great room and dining area, Plaster and Accent Beam Roof System for remainder. Standard Wall System. 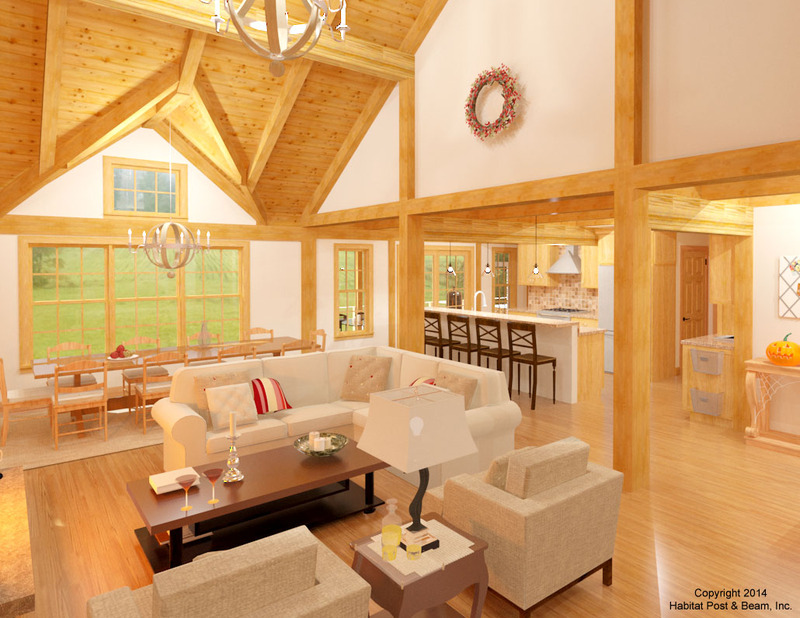 The standard price includes ourBeamed Wall System, Plaster and Beam or Beamed Mid-Floor System (same package price), our Beamed Roof System over the great room and dining area, and our Plaster and Accent Beam Roof System over the remainder. The main level bedroom wing has a flat drywall ceiling with attic space above. The entry and rear porches are our Liner Porch System.